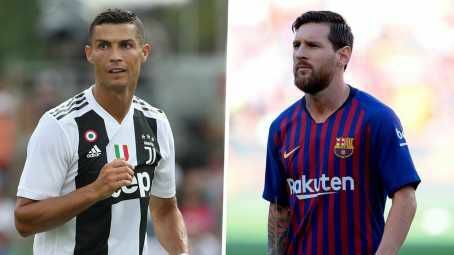 Former Real Madrid forward Cristiano Ronaldo and Barcelona attacker Lionel Messi are both on the same goal record in the Champions League group stage and both players are set to renew their rivalry as the Champions League resumes back on Tuesday 18th of September. The Portuguese attacker will travel back to Spain to face Valencia at the Mestalla on Wednesday while Barcelona will entertain PSV at the Camp Nou on Tuesday. Ronaldo and Messi lead the way with60 goals in the group stage while former Real Madrid stars Raul Gonzalez and Ruud van Nistelrooy are on 53 and 50.